Breakfast at Val’s | Hey, Girlfriend! If you know me well, you know that I am a sleepaholic and hate crawling out of my cozy bed. It takes a solid hour, along with a strong cup of coffee (or two), before my brain cells start to fire. I recently implemented a new routine I heard about which involves spending the first hour of the day outside on my patio, java in hand. I spend the first 20 minutes enjoying the beauty of my surroundings. 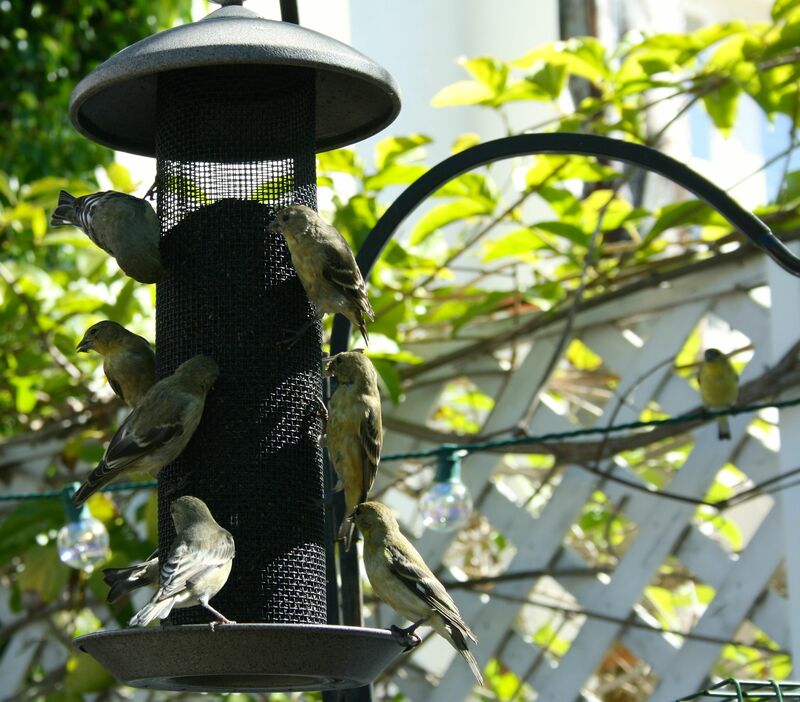 I have several feeders for Hummingbirds, Orioles, and Goldfinches. Sometimes I am visited by an occasional Robin or Monarch Butterfly. I marvel at how God so uniquely created each being. During the next 20 minutes, I read scripture, devotionals, inspirational books and I pray. I spend the last 20 minutes making and/or revising my to-do list. I may not accomplish everything each day, but I try to check off the most important things. I am a type B personality and am easily distracted by my many interests. I have found that when I follow this routine, I am much more inclined to stay focused. Unless, of course, Mel calls me. Then all bets are off! I highly recommend it, let me know what you think! Val, Sounds like the perfect, most inspiring way to start the day. It really helps me get focused about my day and my goals, JJ! ← Hey, Girlfriend! Follow us!